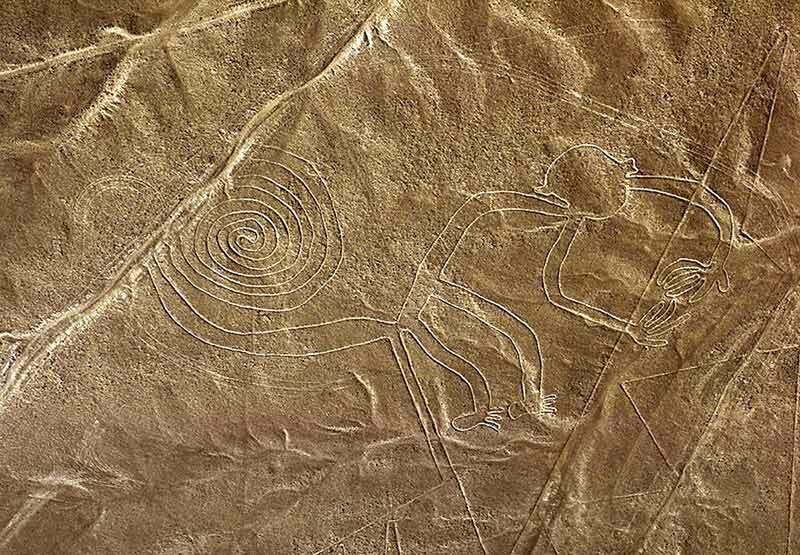 Our guests will board their plane at the Pisco airport for their flight over the mysterious Nazca Lines. These huge drawings can only be seen from the sky and they represent several insects and animals, some of them are: a monkey, hummingbird, condor and a spider; other drawing depict humans and trees. The origins are unknown, while many think it is a big astronomic calendar, others think they had a ceremonial purpose. Whatever your conclusions may be, you are sure to WOW many times during your flight. 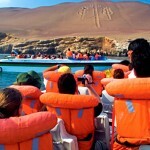 During your nature cruise of Paracas Bay to the Ballestas Islands, see the famous Candelabra, a giant figure marked in the sand in the style of the Nazca Lines and enjoy viewing sea lions, penguins, and different sea birds. 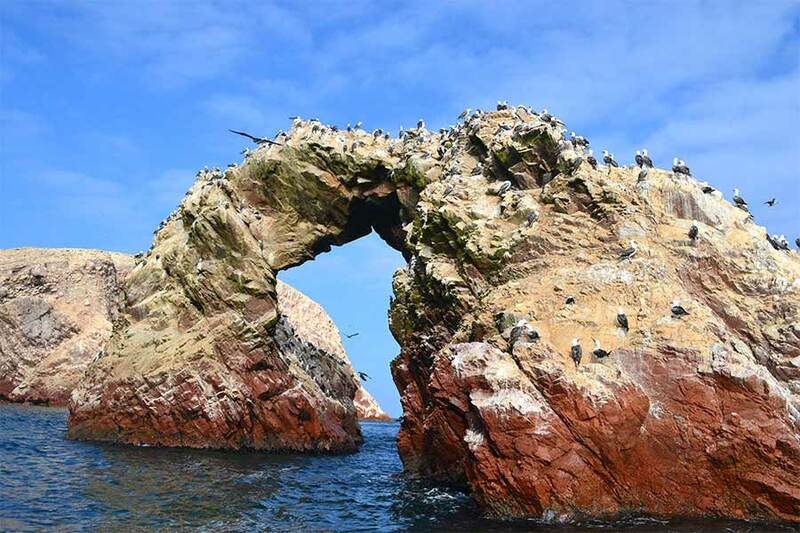 Fly Over the Nazca Lines & Paracas Bay with our 2-day vacation package that features a scenic flight over the mysterious huge drawings and a nature cruise to Ballestas Islands across Paracas Bay. 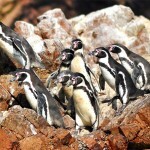 After an early breakfast at your Lima hotel, transfer to the local bus station for a 4 hour bus ride to Paracas Bay. 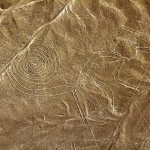 On arrival, you will be escorted to the local airfield for a flight over the mysterious Nazca Lines. These huge drawings can only be seen from the sky and they represent several animals like a monkey, hummingbird, condor and a spider. 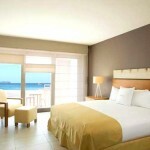 After the flight, you will be driven to the oceanfront hotel of your choice for an overnight stay. 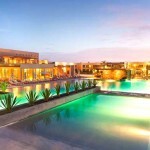 Balance of the day is spent relaxing by the pool or for your personal visit to the small village. 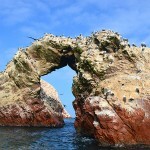 Day 2 | Cruise Paracas Bay to the Ballestas Islands / Lima | B. 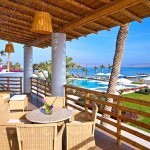 In Paracas: DoubleTree Resort by Hilton is on the beach overlooking Paracas Bay. 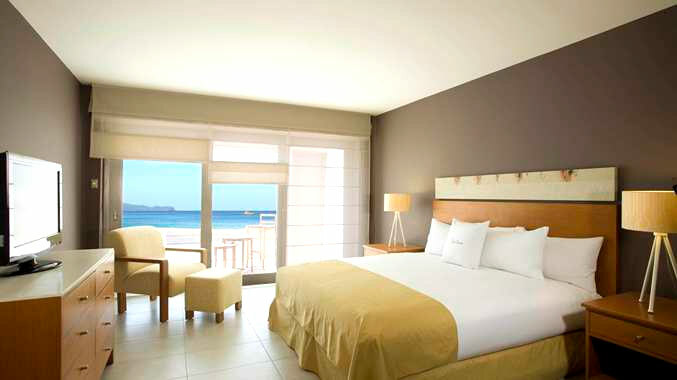 This upscale all-suite hotel is 3 km from the Paracas History Museum and boating at Marina Turistica de Paracas. 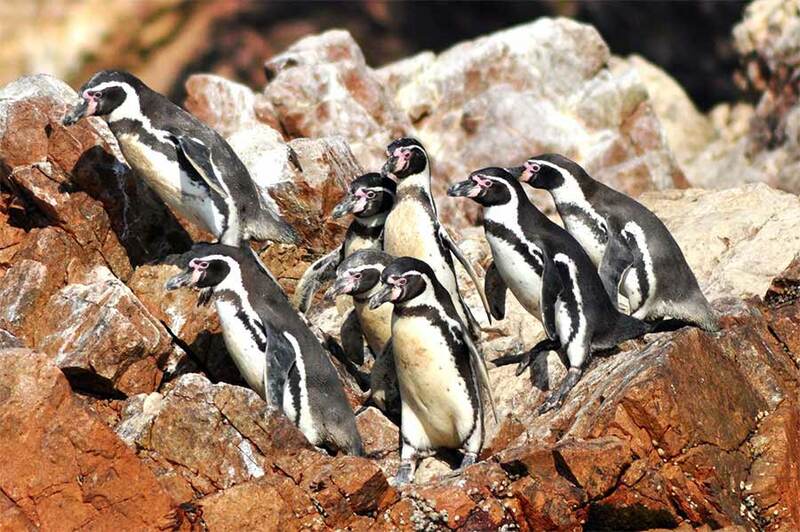 It is located in one of the most interesting and richest ecosystems in the world; the desert peninsula of Paracas on the south coast of Peru which encompasses Paracas National Reserve, two-thirds of which is water. 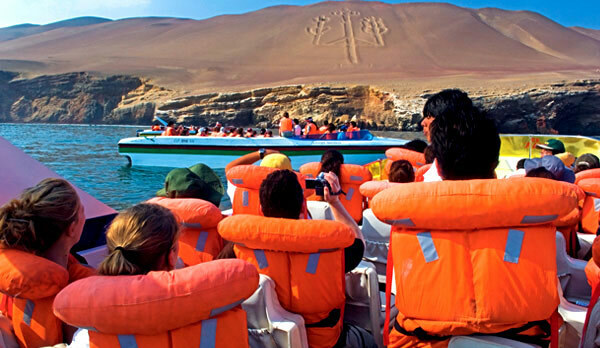 This natural wonder teems with diverse species of fish, birds, and marine mammals, while Paracas Bay hosts water sports of all sorts. 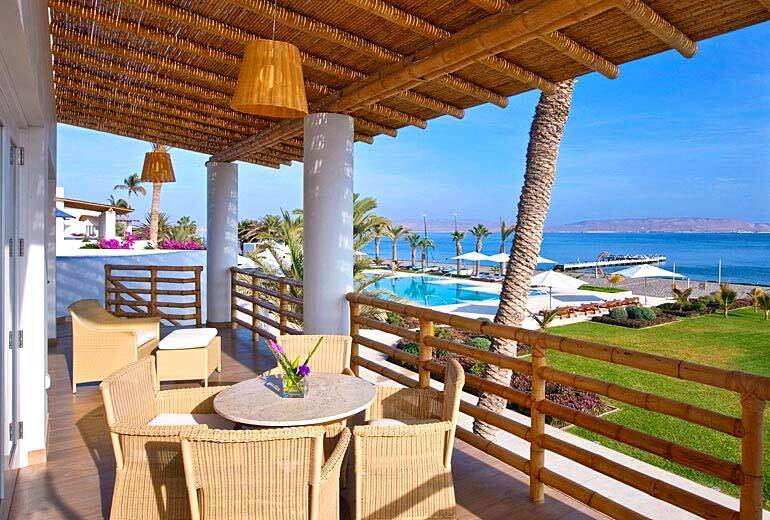 Hilton DoubleTree Resort offers two stories of luxurious, spacious and modern suites featuring a terrace or balcony with magnificent views of the tranquil azure waters of Paracas Bay or palm gardens. All two-room suites are outfitted with a full array of guest amenities, including Sweet Dreams® beds, two 32″ flat screen TVs, MP3 clock-radio, free Wi-Fi, kitchenettes with mini-fridge, and living room with soft bed. 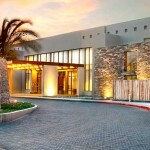 There is a bright restaurant and a bar, fitness center, a kids’ club, and an outdoor pool featuring a bar. 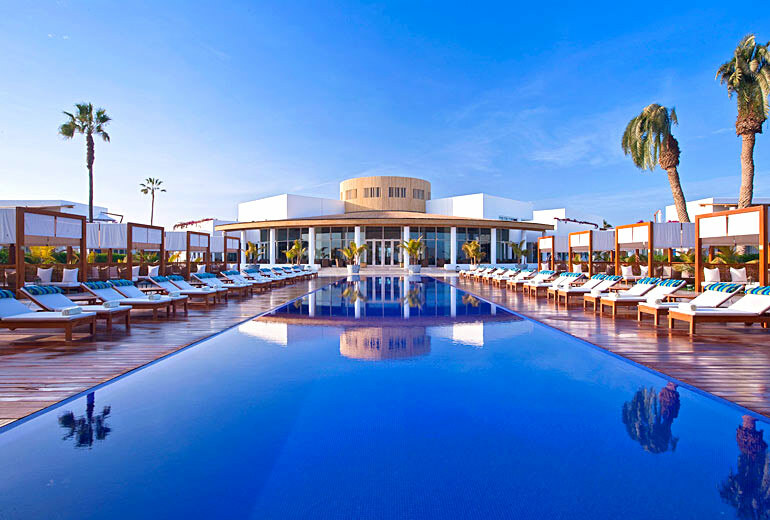 In Paracas: Hotel Paracas a Luxury Collection Resort nestled 250 km south of Lima, Hotel Paracas is ideally situated for travelers looking to immerse themselves in nature and those seeking a glimpse into the mysterious and intriguing history of Peru’s central coast. 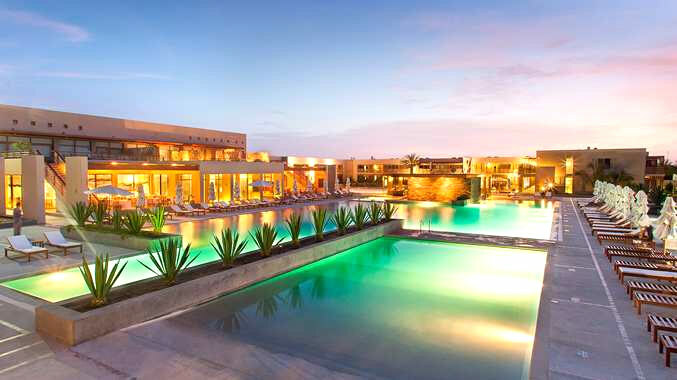 Sparkling like a jewel on Paracas Bay, the hotel beckons with distinguished architecture and design that harmonizes with dazzling surroundings offering unforgettable excursions and adventures. 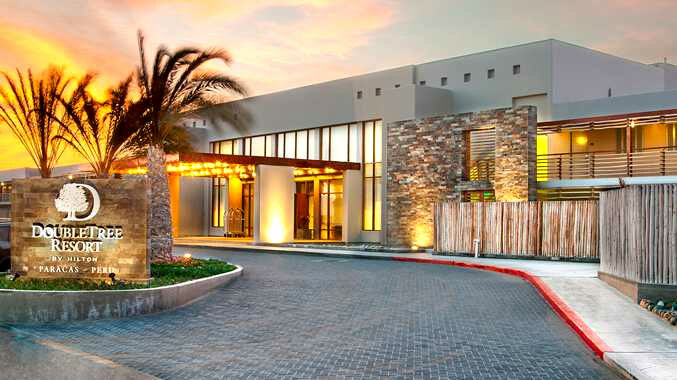 The smoke-free hotel begs to be explored, offering two outdoor swimming pools—one specifically designated for families. 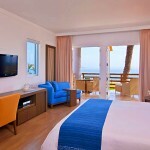 Rooms are available with one king or two queen beds wrapped in 400-thread-count sheets. 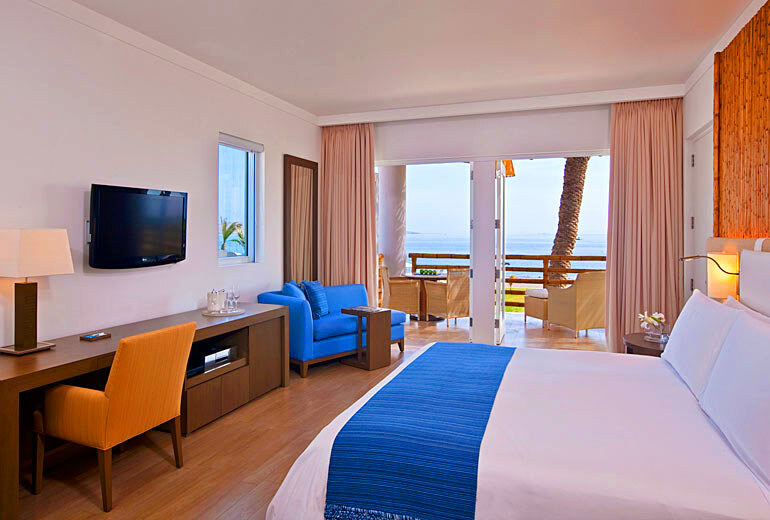 Recline on the nearby chaise lounge and enjoy the iPod docking station and 37″ LCD television. Bathrooms offer the ultimate relaxation: you will find a shower with glass doors, a large bathtub ideal for soaking, and first class toiletries. Complimentary robes and slippers enhance each experience. Creativity is the touchstone of the many restaurants that both delight and inspire your palate with the flavors of Peru. Reservation:A $300.00 deposit per person is required to activate and process your reservation. Final Payment:The balance is due 65 days prior to the start of your tour. If full final payment has not been received by the due date, EcoAmerica Tours reserves the right to cancel the reservation without notice. 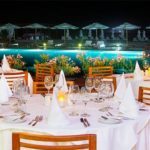 The price does not include:personal expenses, additional activities, international and local airfares as well as airports departure taxes (unless otherwise indicated), gratuities to guides, drivers, porters, bell and wait staff, and any other service not listed. Meal Codes:B = Breakfast. L = Lunch. D = Dinner. Please refer to the attached terms and conditions as presented in the credit card authorization form and in the Terms of Travel section in our website. These terms apply in full to this travel program. 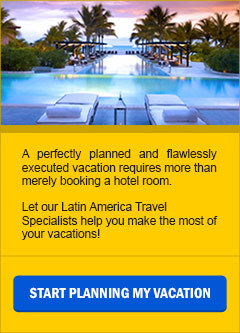 One of the main advantages of booking your trip through your Travel Consultant and the destination specialists at EcoAmerica Tours is that you do not have to spend countless frustrating hours looking on-line for hotels, point-to-point transportation, attractions, entrance fees, excursions, and much more. 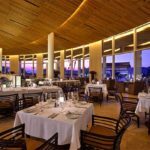 The second is that when traveling with us, you can be certain that we will be with you throughout your trip to continue assisting you and making sure that each one of the services included in your reservation are flawlessly delivered. When traveling with us, you will be talking to a real person who will demystify the travel components and will provide you with information that makes you knowledgeable and informed. When traveling with us you will get real value, just like countless travelers before you (we encourage you to visit the Reviews and Testimonials section in our website. Fast, friendly and efficient response to your requirements.